“Zunda mochi,” which allows the complete flavors of edamame to be enjoyed, is a food high in nutritional value. 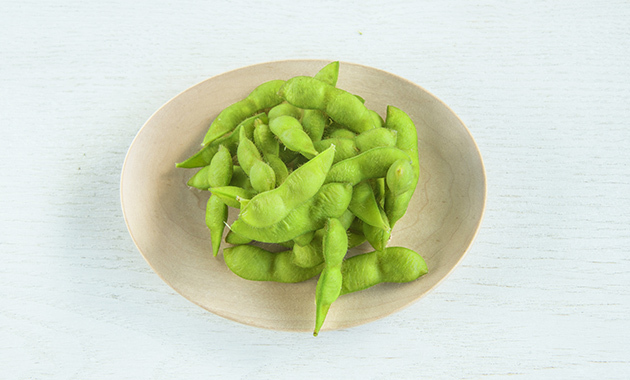 The edamame used in “zunda mochi” are young soybeans before they mature and yellow. They combine the goodness of soybeans, known for their vegetable protein, with the goodness of green and yellow vegetables, rich in vitamins. Enjoy the healthy food “zunda mochi” as a light meal or late-night snack. Soybeans are a treasure trove of protein, and are also referred to as the “meat of the field.” Soybeans are currently hugely popular among health-conscious people in the U.S. Tofu is also an everyday sight in supermarkets. That is to be expected, as soy protein contains lecithin, which boosts brain activity. Edamame are young soybeans. They contain vitamins A and C that are not found in yellow soybeans. Vitamins A and C detoxify active oxygen. 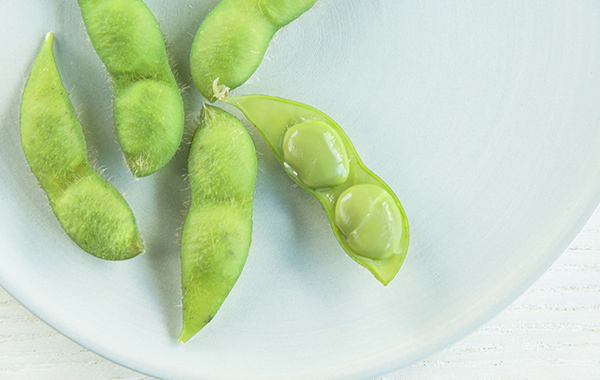 There are only a short three to four days to harvest edamame before they become soybeans. The reason for harvesting them early in the morning when the sun is rising is in fact to maintain the fresh flavor and vitamins A and C content. 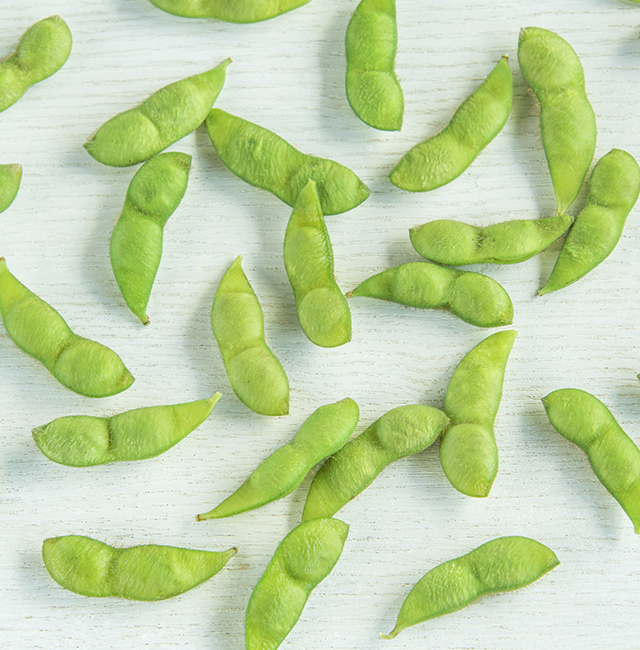 Edamame are also rich in minerals such as calcium, magnesium, potassium, and iron. Calcium is said to be the nutrient we Japanese people are lacking the most. Insufficient calcium results in weakened teeth and bones, but taking it together with protein improves absorption. Magnesium competes with calcium while regulating muscle contraction. Potassium removes excess sodium from the body. Iron is essential for carrying oxygen throughout the body.